For sale, serious inquiries only. 09 Apr	This entry was published on April 9, 2015 at 6:59 pm. 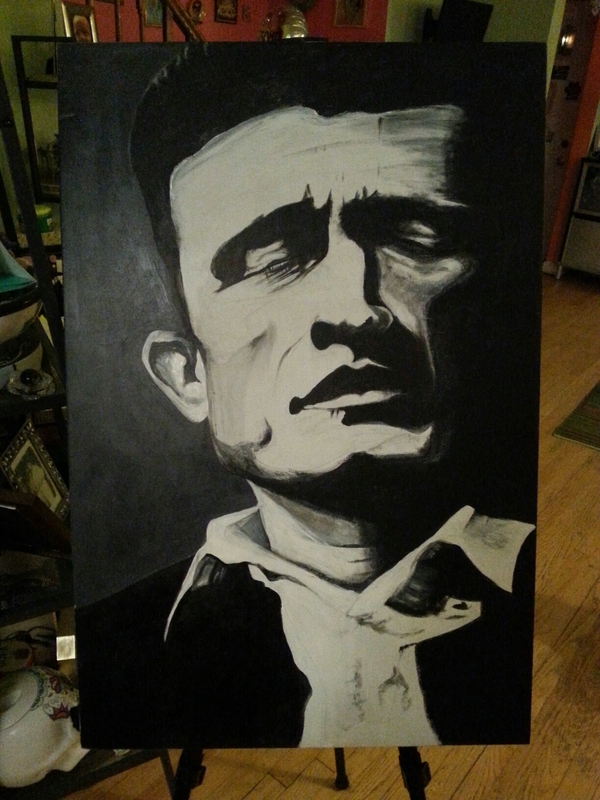 It’s filed under artwork and tagged art, for sale, Johnny cash, man in black, painted wood, portrait, re use, recycled, upcycled. Bookmark the permalink. Follow any comments here with the RSS feed for this post. Newer: Candy Man progression – Sammy Davis Jr.